Proteus 8.0 represents over three years continuous development and includes improvements to every area of the software suite. Major work on the application framework together with the introduction of a common database provides a much smoother workflow for users while the rich new feature set saves time and effort in the design life cycle. Application Framework – Single integrated application with ISIS, ARES and appearing as tabbed modules. Switch between tabs on a single monitor (e.g. laptop) or drag and 3D Viewer drop tabs to view in separate windows. The main theme of the Proteus 8 release is integration. Development has therefore been focused on taking the various discrete parts of an electronic design and coupling them together to achieve a better workflow. In order to achieve this, three major architectural changes were necessary; a unified application framework, a common database and a live netlist. Live Netlisting – Alive netlist is now maintained and accessible throughout the system. Enables changes on the schematic to be reflected across PCB, BOM and Design Explorer in real time. 3D Viewer – Now supports DirectX (as well as OpenGL) and runs multi-threaded. Includes live update mechanism so changes made in ARES are reflected in the 3D Viewer. Bill of Materials – Completely new BOM module with PDF , HTML and Excel output. New Property Editor grid allowing you to easily add data to the report. VSM Studio – Integrated IDE for Proteus VSM simulation and debugging. Automatically sets up compilers and debugs target firmware. Additional Framework Functionality The Proteus 8 application includes a dedicated home page which, along with easy access to help and project launch, contains a news and information panel. The old Update Manager has been removed and new releases will now be displayed and made available for download directly from the home page. A new crash dump reporting system has been added so that, in the event of a problem, you can choose to send detailed information to our servers. We plan to then use the information screen to report back to you when a solution or fix becomes available. 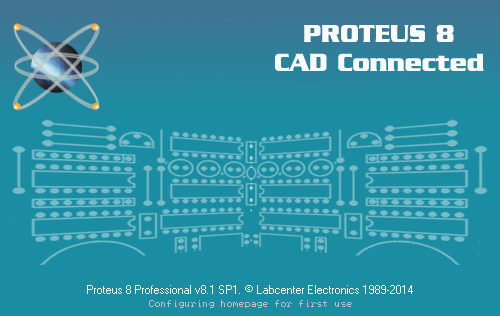 Additional Product Functionality Many smaller features and improvements have been made across the full range of modules in Proteus 8. These are detailed in the migration guide and highlighted in the Getting Started Movies, both of which can be accessed from the application home page. e visto mucho video por youtube, y mucho de los chico que lo tienen intalado dicen que ese programas es super chulo tiene mas aplicaciones que algunos programa k me voy a recebar el nombre.